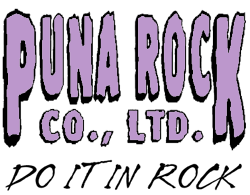 Puna Rock Company is located in Keaau, Hawaii, a small city in the District of Puna. We are on the east coast of the Big Island. You can take Railroad Ave to Milo Street from the southwest. Highway 130 runs nearby from the west and highway 11 from further away. If you need directions from where you are or get lost on your way to our store, please give us a call and we’ll assist you.